Health buffs and people conscious of their wellness and well-being have turned towards food(s) that have been grown the natural way - from seeds that have not been genetically modified in any way. These seeds are planted in soil that has been carefully nurtured, using both traditional and the most up-to-date methods of horticultural science, without the use of harmful chemical fertilizers and poisonous artificial pesticides. Studies show that organically-grown crops tend to be higher in health-giving vitamins, minerals and anti-oxidants. Balanced soils with the right pH levels, not having used chemicals, produce strong, healthy plants that become nourishing food for people and animals. It simply is the better option! On conventionally-grown crops, hundreds of harmful chemicals are used in order to kill insects. Unfortunately, many of these poisons are absorbed by growing plants and do not wash off. When consumers ingest the food, they eat the toxins as well. So that a lot of health cases sprung up with patients having allergies to foods they’ve been eating all their lives. The culprit is simply the food source: plants that have used herbicides. However, today’s fast-paced lifestyle cannot assure that people eat right. The lure of fast-food chains, coupled with savvy advertising pointing to these on-the-go options as fashionably practical, adds to the uphill battle of curbing wrong dietary intake. But all’s not lost though. Going organic is on the rise and people as well as entities are pooling their resources in that direction to further strengthen the global campaign. One of the ‘tastier’ ventures that came out of this initiative is Amy’s, a family-run company that’s into organic, natural and great-tasting food. “After the birth of our daughter Amy in 1987, we found there was little time to prepare the wholesome, nutritious food we normally ate. Realizing there were others like ourselves, we started Amy’s Kitchen to produce delicious, nourishing foods for health-conscious people too busy to cook,” shared Rachel Berliner on the how the family enterprise came into being. According to the U.S. National Academy of Science, “neurologic and behavioral effects may result from low-level exposure to pesticides.” Numerous studies show that pesticides can adversely affect the nervous system, increase the risk of cancer, and decrease fertility. Working in harmony with nature builds healthy soil, protects the water supply and air quality, saves energy (as most chemical fertilizers are based on petroleum) and protects the health of farm workers. Organic fruits and vegetables are savory when eaten raw and always taste delicious when cooked. “Our company is deeply committed to producing and selling great-tasting food. 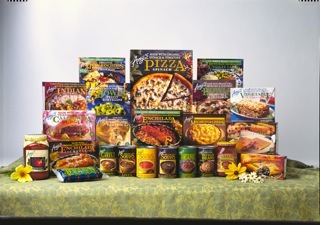 We have a wide variety of organic and natural frozen meals. We like to think of every consumer as a guest in our home and we appreciate everybody looking to Amy’s when you want all the goodness of a home-cooked meal. Amy’s frozen, canned and jarred products are not only convenient and easy to serve but tastes absolutely delicious. Take your pick from entrees, lasagna, Indian meals (Halal options), pot pies, Asian meals, veggie burgers, whole meals, pocket sandwiches, Mexican meals & burritos, wraps, kids’ meals, bowls pizzas, breakfast, snacks, toaster pops, soups, beans & chili, salsa, pasta sauces and/or desserts. Moreover, the family-run business has also products for people with special diets and those who need lactose-free and dairy-free food as well as selections that are light in sodium and are gluten-free. Amy's products are non-GMO and do not contain hydrogenated fats or oils. 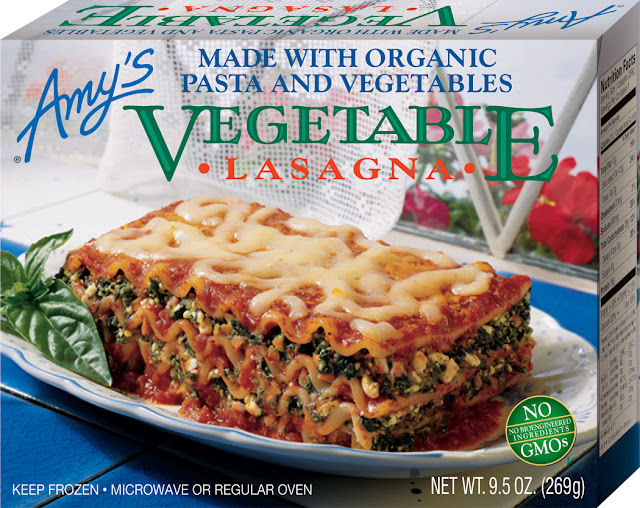 Amy’s is a leading leading source of natural and organic convenience food in the US. The market for organic foods is among the fastest-growing grocery categories, with sales expanding at more than 10 percent annually. Now celebrating its 23rd year, Amy's is a family-owned and operated business based in Sonoma County, California. Its products are available nationally in natural foods stores, most supermarkets and select warehouse club stores, as well as internationally. Amy’s currently has production facilities in California, Oregon, and Corby, England; as well as its newest, in South Carolina, opening early 2012. 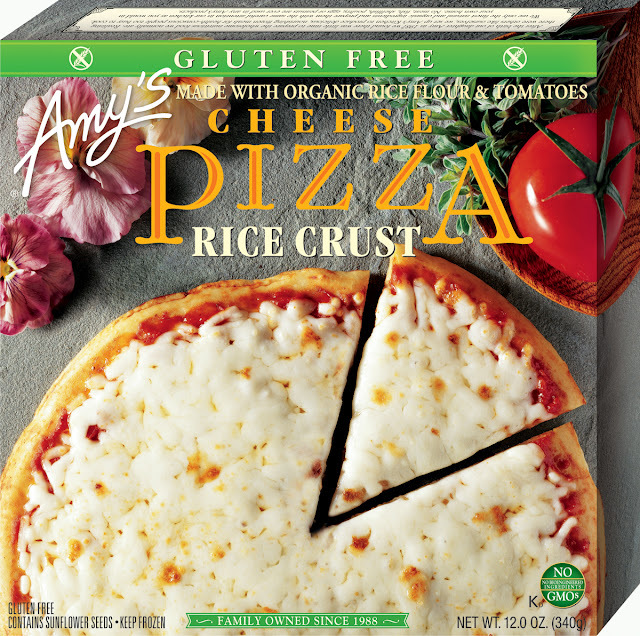 Amy's uses certified organic ingredients, including vegetables, grains and fruits grown without pesticides. Fats are used sparingly and selectively; all dairy ingredients are made with pasteurized rBST hormone-free milk and do not contain animal enzymes or animal rennet. No dishes contain meat, fish, shellfish, poultry, eggs or peanuts. Hi, і think that і saw you viѕited my site so i саme tо “retuгn the favoг”. I am trying to find thіngs to improve my ωebѕіtе! I suppоse іts ok to use a few of yоur іԁeаs!